ALAMEDA, Calif. — Raiders coach Jon Gruden has to prepare for not one, but two elite wide receivers Sunday against the Pittsburgh Steelers. 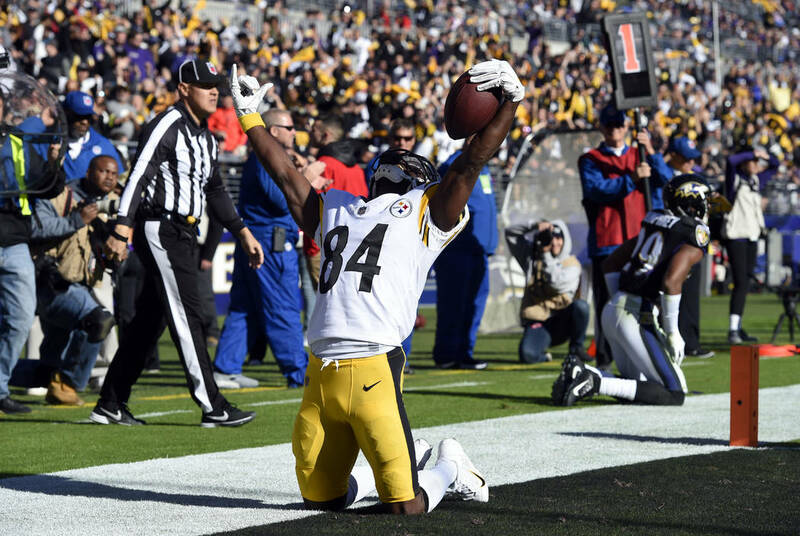 The Ben Roethlisberger-Antonio Brown quarterback-to-wide receiver connection has been one of the most prolific in the NFL over the last few seasons. 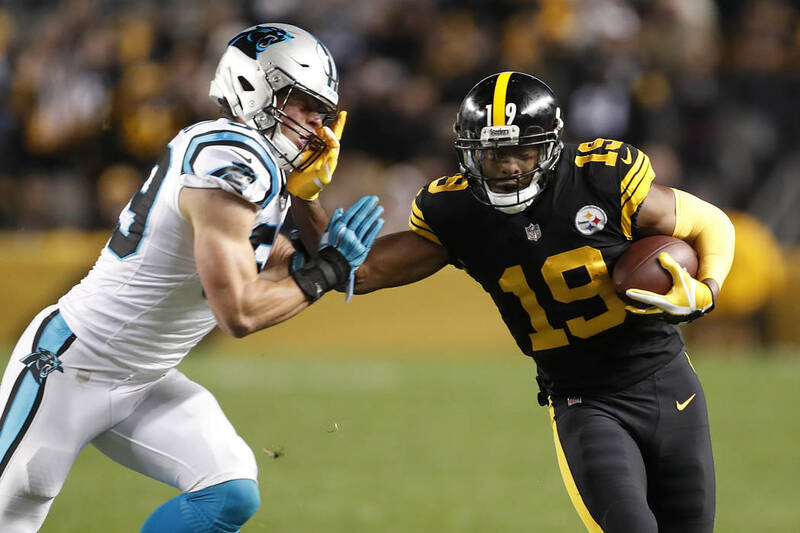 The addition of JuJu Smith-Schuster — who’s entering his second year — has turned a dangerous passing attack to one of the NFL’s most lethal. Gruden has noticed the impact Smith-Schuster has had for the Pittsburgh offense. “He’s a good player,” Gruden said Friday. “He’s a physical guy; he’s obviously smart and he’s taken advantage of some of the coverage that Antonio’s getting. 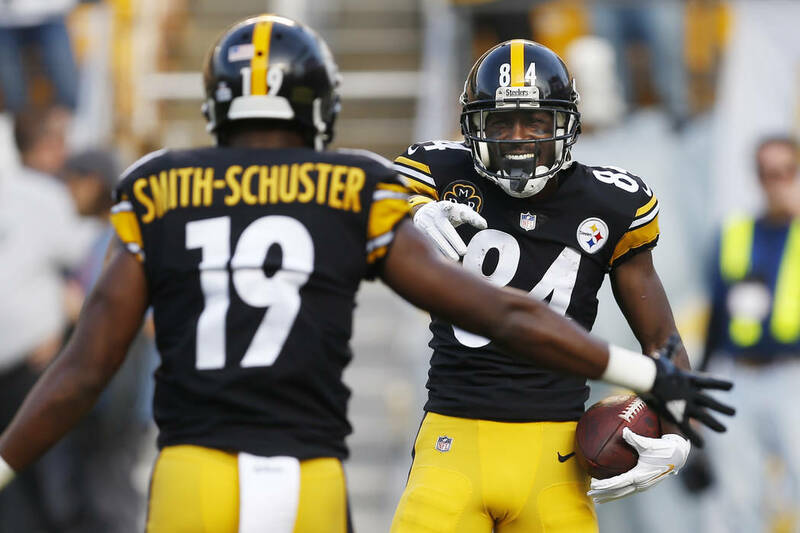 Brown and Smith-Schuster have both eclipsed 1,000 receiving yards this season — the first time for a Steelers’ duo since 2011. Brown also leads the league in receiving touchdowns (12). Constructing a scheme against an explosive second-year wide receiver is difficult enough. It almost becomes secondary when you also have to prepare for Brown — a wide receiver that Gruden believes is one of the greatest ever at his position. “They move him around everywhere,” Gruden said. “You don’t know where he’s going to be. He can run every route you dream up. I say that about other receivers but he can run double moves, he can run by you, he can run crossing routes, he’s very good after the catch. What’s the greatest thing about this man, I’ve told all of our receivers, if you get a chance to watch him practice, you’ll see what unlocks the greatness in him. — Defensive tackle Maurice Hurst (ankle), offensive lineman Kelechi Osemele (toe), linebacker Kyle Wilber (hamstring) cornerback Daryl Worley (shoulder), wide receiver Seth Roberts (concussion) and Doug Martin (knee) are questionable for Sunday. Hurst and Osemele did not participate in practice Friday and the Raiders announced that Roberts is in concussion protocol. More Raiders: Follow at reviewjournal.com/Raiders and @NFLinVegas on Twitter. Contact Chris Booker at cbooker@reviewjournal.com. Follow @Bookerc94 on Twitter.